PANDORA’s classic designs have made it onto countless ensembles worldwide, but the Danish jewellery housewants to take its signature metals and aesthetics to a whole new dimension, just in time for the festive season ahead. Launched as part of the PANDORA Winter 2018 Collection, Purely PANDORA features a striking mix of freshwater cultured pearls and dangling spheres that tether delicately between modern and vintage aesthetics. 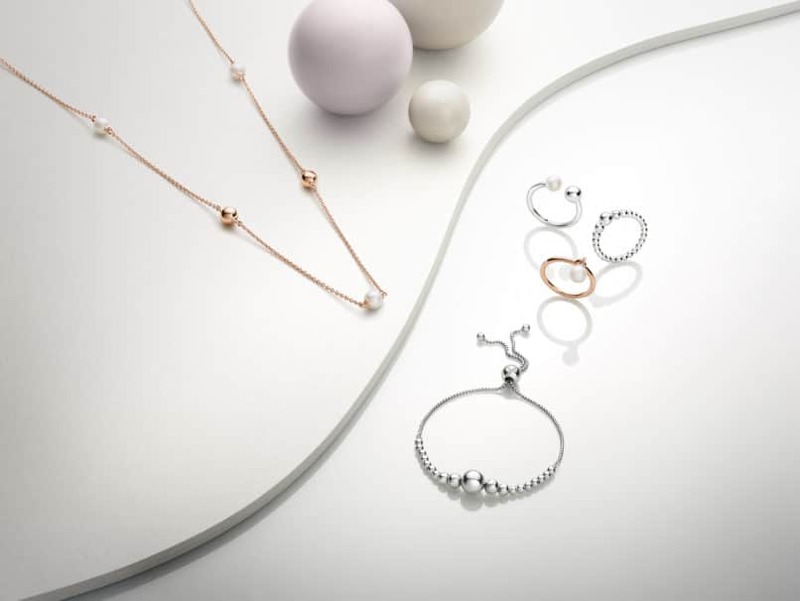 Created to give the freedom for wear no matter the occasion and style, Purely PANDORA elegantly interweaves the signature sterling silver and blush-hued PANDORA Rose into a collection of rings, hoop earrings, adjustable necklaces, and bead chain earrings. The concept of symmetry and its contrary adds a sophisticated insouciance to the series, and the option to incorporate the pieces even on casual days. Fluidity is also explored here; strings of sterling beads in varying sizes create the illusion of movement and gives a contemporary twist to the versatile pieces. The Strings of Beads Sliding Bracelet (S$99) can be easily adjusted to sit casually on your wrist, or tightened to be stacked with other PANDORA bracelets for a new look. Meanwhile, the Contemporary Pearl Ring (S$149) sees a white freshwater cultured pearl attached gracefully to a classic PANDORARose ring, allowing the former to dance on the finger with every step. The idea of balance is at play throughout the Purely PANDORA collection. The Contemporary Pearl Necklace (S$349) and Contemporary Pearl Earrings (S$149-S$179) sees pearls that appear to float delicately in the arc of each of the pieces — a contemporary take on the iridescent fashion staple. Those looking to refresh their favourite charm bracelet can look to the String of Beads Dangle (S$89), where a trinity of graduating beads dangle freely for extra visual interest. The Purely PANDORA collection is now available at PANDORA stores islandwide, as well as at PANDORA’s online store.